The amount of calories your body burns after eating food is directly related to your metabolism rate. A fast metabolism causes your body to burn more fat. People with slow metabolism tend to gain more fat from less food than persons having a fast, healthy metabolism. Your metabolism rate depends on many things. Some people are born with high metabolism. Women tend to burn less fat than men. Generally, metabolism slows steadily after age 40. Although, you can’t control your age, gender, or genetics, many scientific studies have shown that following a healthy lifestyle you can speed up your metabolism and make your body burn calories efficiently. 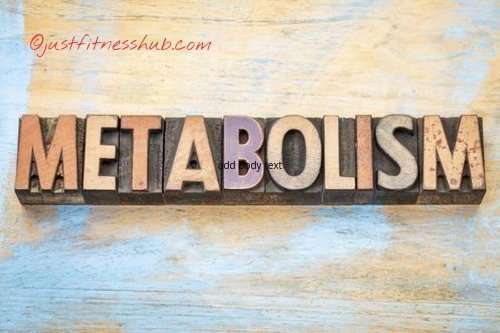 Read on here for 10 effective ways to speed up your metabolism. Incorporate these small lifestyle changes and tips into your routine. These will not only increase your metabolism rate, but also help you lose weight – while providing you with more energy. Eating food increases our metabolism for a few hours. It causes burning of extra calories that are needed for digesting, absorbing and processing the nutrients in the food. This natural process is known as the thermic effect of food (TEF). Protein results into the largest increase in TEF. It boosts our metabolic rate by 15–30% as compared to 5–10% for carbs and 0–3% for fats. In other words, your body burns much higher amount of calories digesting protein as compared to fat or carbohydrates. Another thing is that as the protein is digested at a slower rate as compared to carbs, so it makes you feel full for longer periods of time and prevent you from overeating as well (Source: 1,2,3,4,5,6,7). One small study has shown that people were likely to eat about 441 less calories a day when protein constituted 30% of their diet (Source: 8). When dieting, eating more protein by swapping some carbs with lean, protein-rich foods can also lower the drop in metabolism rate. This happens as it helps you avoid losing muscle, a common side effect of dieting (9, 10, 11, 12, 13, 14). Drinking water increases your metabolism temporarily (Source: 15, 16). As per a study conducted by the Journal of Clinical Endocrinology and Metabolism, it was shown that by drinking about 17 ounces of water one can speed up resting metabolic rate by up to 30% in healthy subjects for about an hour. This occurred just 10 minutes after drinking water. Our bodies require water to process calories. If we are even slightly dehydrated, our metabolism rate reduces. Moreover, chronic dehydration has been shown to cause suppression in metabolic rate. In one study, it was found that the adults who drank eight or more glasses of water per day burned higher amount of calories as compared to those who drank four. To stay hydrated, drink water instead of sugary drinks as it is more effective in burning calories and so losing weight as well (Source: 17, 18, 19, 20, 21). Also, go for fresh fruits and vegetables as they naturally contain water than chips or pretzels. Water also helps fill you up, which can make you shed fat faster. Studies show that drinking water a half hour before you eat can help you eat less (22, 23, 24). According to a study conducted on overweight adults, it was shown that the participants who drank half a liter of water before their meals shed 44% more weight as compared to those who didn’t. (25). HIIT training is another effective way to increase metabolism. HIIT workout routine is an alternative periods of high-intensity exercise (quick and very intense bursts of activity) with periods of low intensity exercise. HIIT increases EPOC (“afterburn effect”) by increasing your metabolic rate, even after your workout has completed, which can help you burn more fat (Source: 26, 27, 28, 29). After you finish HIIT workout, your body continues to burn calories for up to 36 hours after the workout. Carrying out a regular HIIT routine needs your body to consume higher amount of oxygen causing your mitochondria work harder and burn more energy. This“afterburn effect” has been proven to be greater for HIIT than for any other type of exercise. What’s more, HIIT has also been shown to be superior for fat loss. (Source: 30, 31, 32). HIIT exercises also promote growth hormones, which helps in gaining muscle mass and, afterwards, the enhanced metabolic results are seen when we gain muscle. Moreover, it also stimulates catecholamine (adrenaline, norepinephrine) release, which enhances fatty acid mobilization (Source: 33). Muscle is more metabolically active as compared to fat, thus building muscle can boost your metabolism (33, 34, 35, 36). This means you will burn calories at much faster rate every day, even when you are resting (37). Lifting weights break muscle fibers during periods of rest. This means your body requires extra calories and activates your metabolism to do so. Lifting weights also aid you conserve muscle mass and fight the drop in metabolism that takes place during weight loss (38, 39, 40, 41). A study was conducted on 48 overweight women. They were given a diet of 800 calories a day, together with either exercise, aerobic exercise or resistance training (42). It was found, the women who had undergone the resistance training retained their metabolism, strength and muscle mass. The others not only shed weight, but also lost muscle mass and experienced a decline in metabolism (43). Including spicy foods in your meals will naturally kick your metabolism into a higher gear and a fat-burning mode. Peppers in particular contain an ingredient called capsaicin, a substance that has the ability to increase metabolism and burn calories (Source: 44, 45, 46). Cooking foods with a tablespoon of chopped red or green chili pepper can increase your metabolic rate. While the effects may probably be temporary and not bring about a considerable increase in metabolism, but consuming spices combined with other metabolism-boosting techniques can add up and provide effective results (Source: 47). However, some people can’t put up with the spices at the doses needed to get a noticeable effect (Source: 48). Drinking green tea and oolong tea have been shown to rev up metabolism by 4–5% (Source: Source: 49, 50, 51). Drinking two to four cups of these teas help turn some of the fat accumulated in your body into free fatty acids, which can make your body to burn 17% more fat/calories while performing moderately intense exercise for a short time. These teas being low-calorie drinks can be effective for both weight loss and weight maintenance (Source: 52, 53, 54). However, few studies have shown that these teas do not improve metabolism. Thus, their impact may be minor or only be useful to some people (55, 56). Eating nutrient dense whole foods will make sure you get all the necessary vitamins and minerals that are required by your body-systems your to function efficiently. Whole foods will provide you with the required energy, and at the same time you will achieve a high performing metabolism. Steer clear of the processed carbohydrates and include more lean meats, vegetables, and some fruits into your diet to rev up your body’s fat-burning capability. Sitting for longer periods is not good for your health (57). This is due to the reason that sitting for long periods burn less calories and so can cause weight gain (58). As a matter of fact, an afternoon of standing up at work can burn additional 174 calories than sitting (59). In case you have a desk job, consider standing up for short periods every hour to split the length of time you spend sitting down. To achieve this objective, you may consider to invest in a standing desk (60, 61, 62, 63). Sleep deprivation increases the risk of obesity (64, 65). This is partly linked with the negative effects on metabolism because of lack of sleep (66). Lack of sleep can also increase your body’s hormone ghrelin levels, and decrease the fullness hormone leptin, which both together can signal your brain that you are hungry (66, 67, 68). Sleep deprivation also has adverse effects on blood sugar levels and insulin resistance, both of which are a determining factor for a sluggish metabolism. Moreover, the quality of sleep also matters just as the quantity. Omega-3s have a wide range of health benefits such as reducing inflammation, controlling blood sugar levels, and increasing metabolism. A typical American diet doesn’t have enough omega-3s so you may need to take supplements. We recommend that take one step at a time and not go overboard overnight. It’s important that you customize your own routine so as to make it according to your schedule and then stick to it consistently. Regularity in following a healthy routine ensures success. Next articleHow To Burn Belly Fat For Men? Top Foods That Burn Belly Fat – Include These In Your Diet For Slimmer Waist!